Cory Monteith performing with Bonnie Dune at Park Royal Village, North Vancouver July 21 2011. Victoria DeFoe photo. According to news reports, Glee star Cory Monteith was found dead in his room at the Fairmont Pacific Rim Hotel in Vancouver on Saturday, July 13. The Calgary-born actor was 31. Monteith lived on Vancouver Island and in Vancouver before moving to Los Angeles to purse an acting career, which included a role on the hit series Glee. The actor had apparently checked into rehab recently. He also check into rehab when he was 19, the story reports. 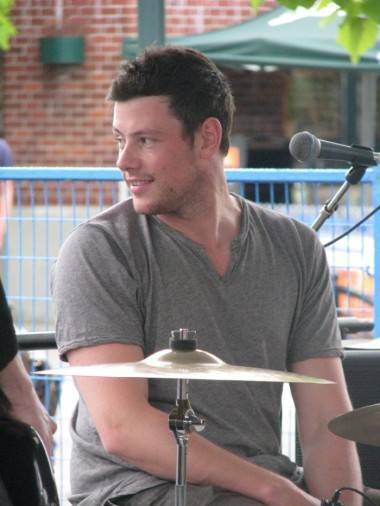 Monteith also played drums in Bonnie Dune. The band came through Vancouver in the summer of 2011 and played the Commodore Ballroom in May 2011, as well as the opening of a Pinkberry store in North Vancouver in July 2011. At the time, intern Victoria Defoe was doing some posting as well as writing and photography for us. She was a big fan of Glee and Cory, and so we asked her to pen a tribute to the late actor. From the beginning, Glee and its talented cast have had a way of being able to connect with people from all over the world every week with important lessons, not to mention countless amounts of laughter. Lessons like being yourself no matter what other people think and to live life to the fullest. The show helped people feel the power of music and how a song can help you heal in a way unlike anything else. Today, this community of so-called “Gleeks” mourns the loss of a great talent, Cory Monteith. Cory’s work on Glee and his story outside of the show has had such an important impact on not only my life but the lives of millions. From the early stages of his life, Cory battled with drug addiction and checked into rehab at the young age of 19. He never stopped working towards his dream of becoming an actor and showed that anything is possible if you set a goal. Even though I no longer keep up Glee, I was deeply saddened to hear Cory’s story end like this. I have met so many amazing people from all over the world through being a fan of Glee and Cory was a huge part of making that possible for me. His story will continue to touch many lives and he will be missed. Even though I no longer keep up the series, I was deeply saddened to hear Cory’s story end like this. I have met so many amazing people from all over the world through being a fan of Glee and Cory was a huge part of making that possible for me. His story will continue to touch many lives and he will be missed. * From the pilot episode of Glee. Quote from Lillian Adler. ** quote from Cory himself. 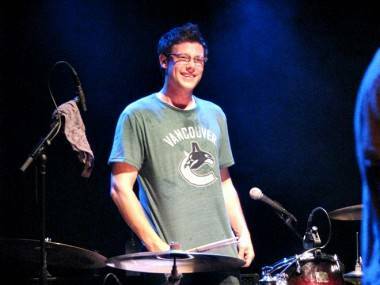 Cory Monteith with Bonnie Dune at the Commodore Ballroom, Vancouver, May 14 2011. Victoria Defoe photo. For information about a drug addiction forum in B.C., visit health.gov.bc.ca. This entry was posted in news and previews, the latest and tagged Cory Monteith, Glee, Vancouver. Bookmark the permalink.